I was having a conversation with a newspaper editor about Mexican traditions and about how our family integrates them living in another culture and married to a man of a different culture. He asked me to write an article about it and when I sent him my first rough draft his response I was surprised. He said, “In my observation, you really don’t share much about your Mexican culture.” It was merely an observation but for me it turned into a challenge. I do realize that I tend to mix some of our traditions so they aren’t always fully authentic Mexican but maybe I did need to focus on this a little bit more. I spent many days thinking through what I did as a child with my parents and I realized so many of our Mexican traditions were tied around food. Tamales – As a child, I looked forward to our annual end of the year tamales. It’s a corn meal dough wrapped in a corn husk and stuffed with meat and sauce. Atole – Is a popular hot beverage enjoyed all year long. Ponche – Is a hot drink with spices and fruit that have been mulled for hours to bring out the flavors in the fruit used from that region: tecojoets, tamarindo, guava and sweetened with pilloncillo (brown sugar, molasses flavored, cone shaped sweetener). Rosca de Reyes – This is a bread that is typically enjoyed around “Dias de los Reyes” (Three Kings Day) on January 6th. You can find a delicious recipe over at Mexico in My Kitchen (Image above via Mexico in My Kitchen). Romeritos – I remember my mom talking about these but because it was mixed in with our meal, I don’t quite remember the flavor. It resembles rosemary and it’s usually one of the main ingredients for a Christmas sauce or mole. Buñuelos – An amazing sweet fritter that is fried and eaten with pilloncillo syrup and enjoyed with atole. Today we are going to travel to Mexico. As many of you know, Latinos know how to throw a fiesta! My first Christmas in Mexico was when I was in high school, I was able to experience family, great food and new Christmas traditions. One of the most memorable and delightful activities while visiting my family in Mexico was the Posadas tradition. My family in Mexico lives on a hill in a small village with a Catholic church in the middle of the neighborhood which was perfect for the re-enactment of the Christmas story in this neighborhood because you could peek out your window and see the mass of lighted candles lighting the way in the village. Traditionally, a party is held each night in a neighborhood home. At my families neighborhood they did all 9 houses in one day on the 24th. 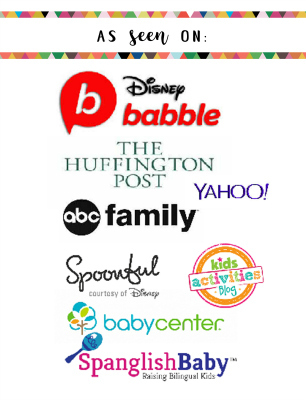 I am sure this made it easier on busy families. The guests gather outside on the street with children dressed as shepherds, angels and Mary and Joseph. An angel leads the procession, followed by Mary and Joseph or by guests carrying their images. The adults follow, carrying lighted candles and sing Christmas carols and other religious Christmas songs that talk about Mary the mother of Jesus. I clearly remember walking up and down the street singing Christmas songs with complete strangers but feeling the joy and harmony that came from gathering with our neighbors and family. They stop at each home and the first 8 homes don’t open their doors and they sing the message–there’s no room in the inn. At the 9th house the “pilgrims” sing a song asking for shelter, and the hosts sing a reply, finally opening the doors to the guests and offering hot ponche, buñuelos, steaming hot tamales and a huge piñata. These are some of my favorite holidays foods that I never learned how to make but my mom can. The last posada, held on December 24, usually its followed by a midnight mass. After experiencing this wonderful Mexican tradition, I had my heart set on holding a Posada in the U.S. A few years later we did but with a few changes that focused more on Christ the Savior being born. For those of you having a hard time picturing this it’s pretty much a Christmas pageant held out on the street with candles and food. This video should help envision this tradition: a great two minute childrens video to explain a little bit of the history behind Las Posadas, it’s animated with cute little characters. Here is a fun and easy Mini Piñata activity for you to enjoy for your posada festivities! The book The Night of Las Posadas by Tomie dePaola is a great children’s book to open the eyes of your children to Mexican Christmas Traditions this holiday season. Christmas Around the World Activities: You can find some fabulous ideas, activities and a passport for your kids at 123 Homeschool. 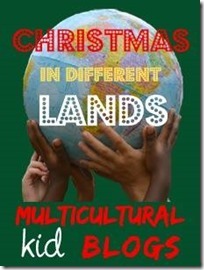 I’m excited to be participating in the Christmas In Different Lands Blog Hop hosted by the Multicultural Blog stop by to virtually travel the world this Christmas! I had so much fun reminiscing these fond memories from my childhood. Hope you enjoyed learning about my beloved country and our delightful and unique traditions. idella, Thanks for stopping by! I love tamales and maybe I will learn how to make them this xmas! I love learning about other Christmas traditions. What a lovely neighborhood celebration in Mexico! And I love tamales … my friends in California celebrated Christmas morning with tamales and we would always come over for them. Now I know why! They are traditional! Pragmatic Mom- What a fun xmas tradition. We eat them at night on the 24th and of course every day after that until they are gone , lol. 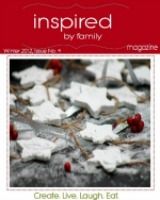 Mari, I loved reading about Christmas in Mexico. You pictures really help make it come to life 🙂 and what a cute project 🙂 Thanks for sharing! Beth, so lad you organized this. It was so much fun to recall this memory. What a lovely tradition and thank you for sharing these photos. I especially second one of everyone singing. Mud Hut Mama, yes the pictures make me homesick 🙂 but my favorite is the youtube video so I can show my kids to give them an idea about their heritage. Varya, So glad you stopped by so much to learn about other cultures. Feliz Navidad thanks for the great info. My kids love the video! Thanks for sharing Mexico with us. Love the pinata craft, so simple and cute. Thanks so much for sharing Mexico with us. We enjoyed your post! I vote we all do this! It sounds so WONDERFUL! 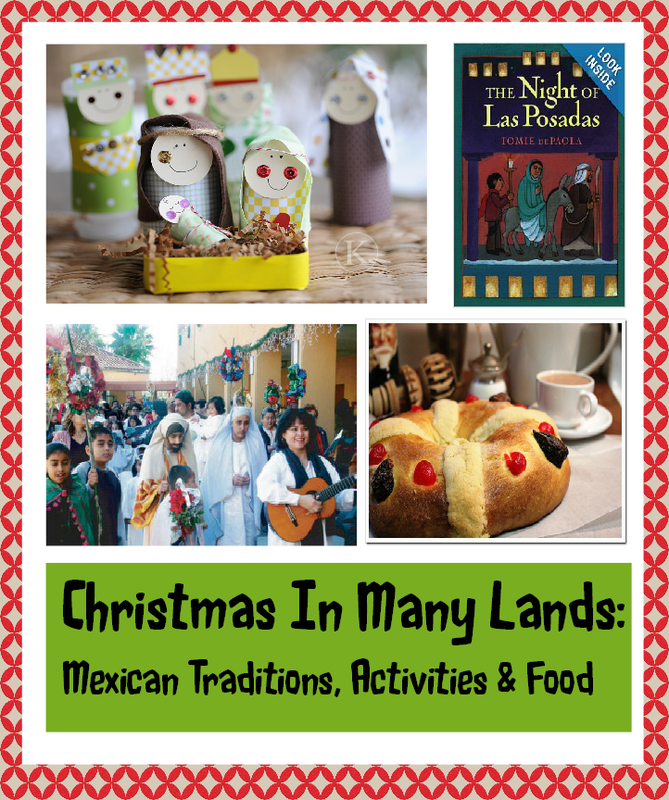 Thank you for this great explanation of Las Posadas and such wonderful community activity.. I love Mexican Food, I think that Hispanic culture expresses affection through food and having guests at home. I would love to be part of a Posada! Feliz Navidad for you and your family! I think taking part in the Posadas tradition would be deeply touching and truly amazing… thank you for sharing this! that reason, aand twke the ewest news.